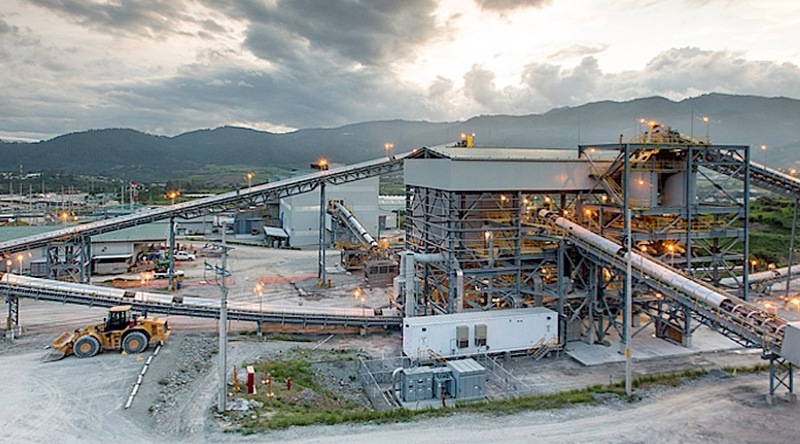 The Constitutional Court of Guatemala will take longer than expected to decide whether precious metals miner Tahoe Resources (TSX:THO)(NYSE:TAHO) can resume operations at its Escobal silver mine, the company said. While Tahoe has not yet received the formal resolution, it said the delay is in part because the judge requires certain information that has to be provided within 15 business days before making a final resolution. Documentation requested by the court includes original copies of documents submitted in July last year, as well as an anthropological study of the surrounding communities to establish the current populations of indigenous people in San Rafael Las Flores and several other surrounding communities. Escobal, the world's third largest silver mine, has been shut since July 2017. It has also asked for a third-party review of the Escobal environmental impact study and the mitigation measures required by it, and a third-party review of the Ministry of Energy and Mines’ consultation process that led to the initial granting of the mining licence in 2013. Escobal, the world's third largest silver mine, has been shut since July 2017 after the country’s Supreme Court provisionally ordered so following an appeal from environment and human rights organization CALAS. That group alleged the Ministry of Energy and Mines had not consulted with the Xinca indigenous people before awarding the license to Tahoe’s local unit, Minera San Rafael. Tahoe has noted the Guatemalan Constitutional Court heard appeals of the Supreme Court’s decision to reinstate the Escobal mining license on Oct. 25, but has yet to issue a verdict of its own despite being required to do so within five days of the public hearing. In January, the company warned an extended halt would force it to lay off 250 employees, or roughly a quarter of the staff at Escobal. Two months later, Tahoe said the termination of additional employees is inevitable. “In total, approximately half of the employees will have had their contracts terminated as a result,” Tahoe Resources President and CEO, Ron Clayton, said in a statement. Prior to the license suspension, Tahoe’s local unit — Minera San Rafael — employed 1,030 people, 97% of whom were Guatemalan, with at least half of them from the Santa Rosa region. Escobal, an underground operation, began commercial production in 2014 and, in 2016, produced a record 21.2 million ounces of silver in concentrate. But it has also been a source of polemic. Last summer, protesters blocked access to the mine, delaying shipments and supplies. Tahoe is also facing action in Canada’s court system by a group of Guatemalan for alleged violence at a protest outside Escobal in 2013. The Central American country ranked as the world’s least attractive region for miners in the latest annual global survey of mining executives released in February by the Fraser Institute.